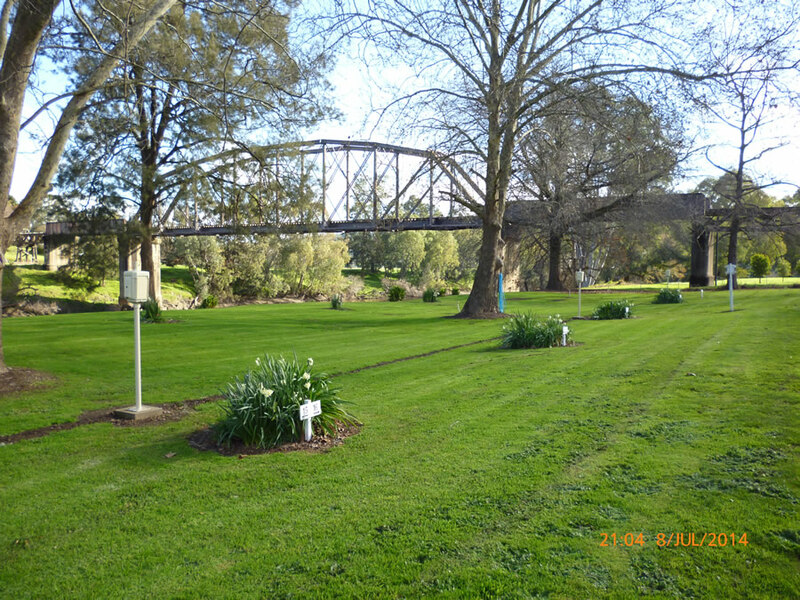 The River Caravan Park is located between the historic Prince Alfred and Railway bridges, and on the banks of the Murrimbidgee River. Our caravan park is open and roomy with plenty of shade for our customers. 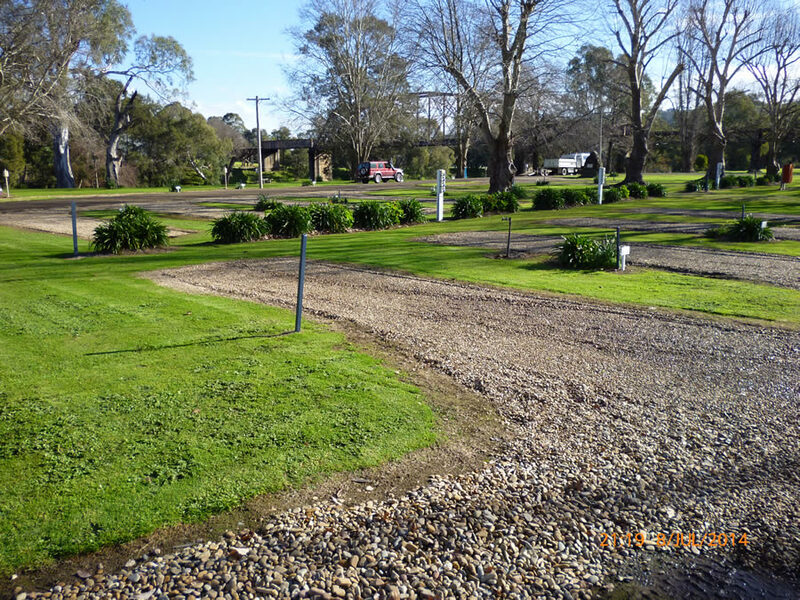 We offer fully grassed sites for summer and stone pads for winter, men,women & disabled amenities,laundry facilities,drinkable water, campers wash-up sink and BBQ facilities. We offer 41 sites – powered & unpowered. 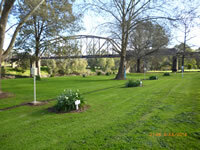 We also offer 4 deluxe ensuite cabins. We can cater for anything from a one man tent through to the largest of motorhomes and all sites are long enough to leave your vehicle & caravan attached. 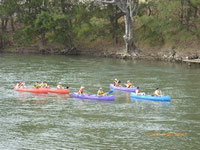 Caravan clubs and water sporting groups are welcome. 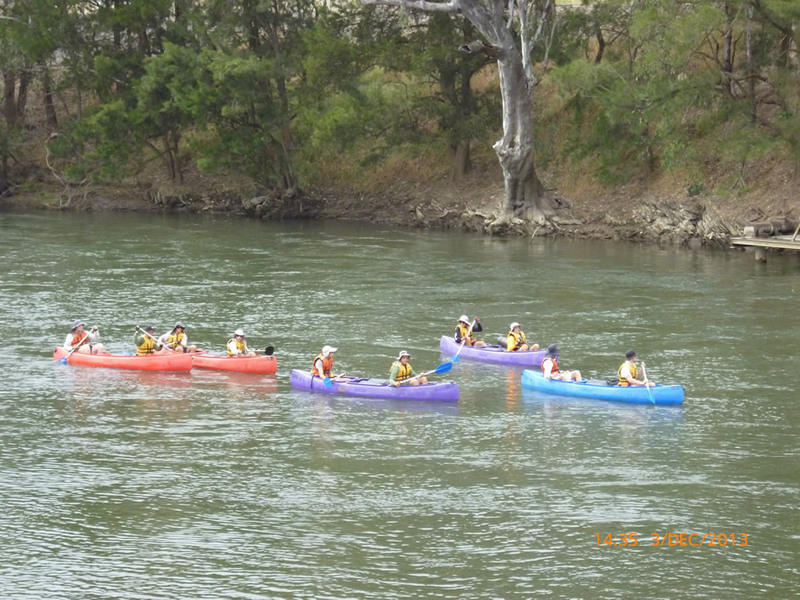 The River Caravan Park is flanked by the Gundagai Common and the Bidgee Banks Golf Course putting you within walking distance to everything the historic town of Gundagai has to offer. Pets are permitted in caravan park area only. They must be kept on leads at all times and picked up after.